to the customer who has raised a ticket. * Freshsales info will be shown at ticket detail and contact detail pages of Freshdesk helping agents to provide contextual support. 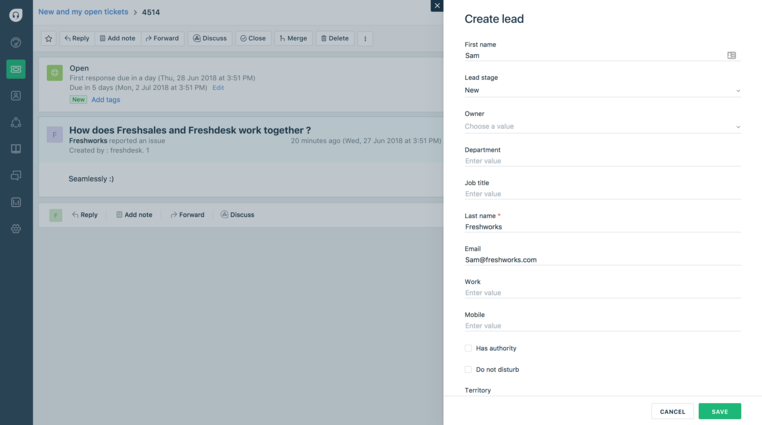 *  Create a freshsales lead/contact  directly from freshdesk. 1. Login to Freshsales, click on your profile in the top right. 3. Select the API settings tab in the profile settings page. You'll find your API Key in the API settings tab, copy it to your clipboard. 1. 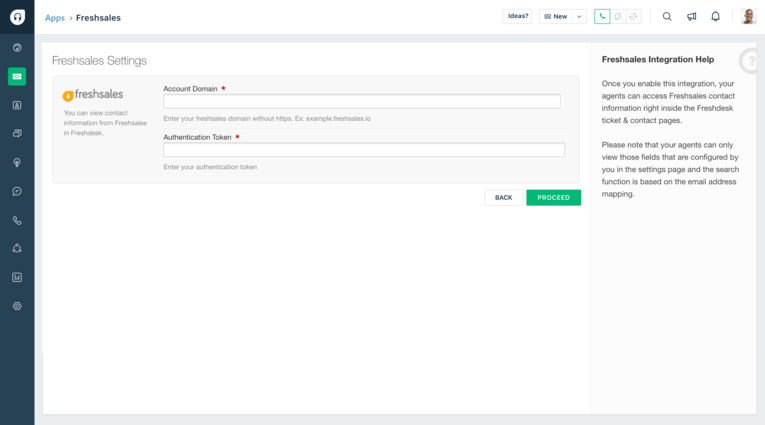 Login to your Freshdesk account as an administrator. 2. 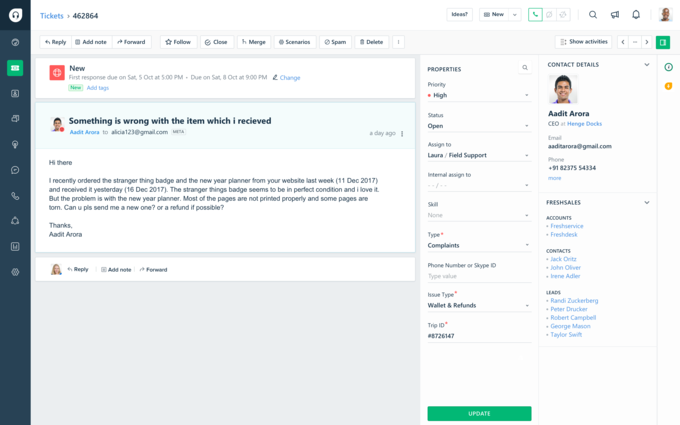 Go to Admin→ Helpdesk Productivity → Apps → Get More Apps. 3. Select Freshsales under CRM category and click Install. 4. Enter your Freshsales credentials. 5. 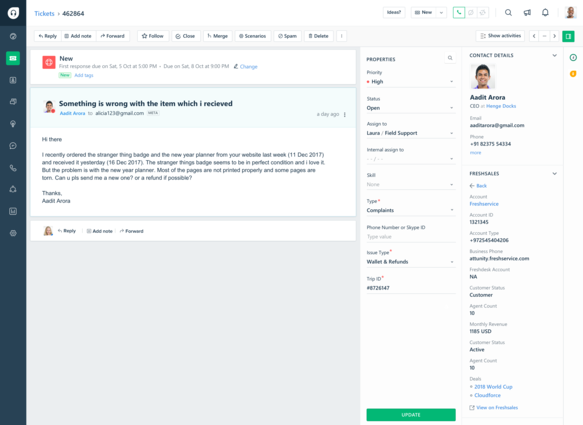 Enter the username and API key, then click Update and the Freshsales app for Freshdesk will be installed. 7. 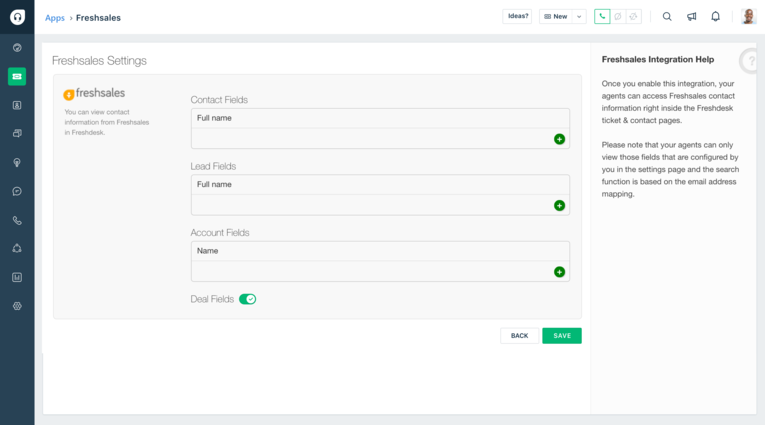 You can select up to 10 fields each for Contact, Lead, Deal and Account. By default, only Full Name is displayed.